We are very excited to introduce you to this month’s Rising Star: Almeida! This Swedish YouTube guru and beauty blogger offers makeup tutorials, fashion advice and hauls to her growing fan base. Learn more about Almeida in our interview below! Sigma: What is your daily beauty routine? Almeida: My daily beauty routine, apart from washing and moisturizing my face, is to apply a BB cream, some concealer where I need it, a little blush, cream eyeliner and some mascara. I often add a lipstick/gloss to go. Of course, when I go out, or when I feel extra fancy, my beauty routine looks completely different! Sigma: What is your favorite Sigma product? Almeida: It must be my F80 Flat Top Kabuki Brush. I love it so much and I cannot stop raving about it to anyone who is willing to listen. It is by far the best brush I have used to apply foundation. It is good for building up coverage and blends out foundation beautifully. It is also amazing when buffing the foundation into my skin. Sigma: What is one beauty related item always found in your purse? Almeida: An eyelash curler actually. I bring one with me wherever I go because I love my lashes to be long and curled. Mascara sometimes weighs them down, and when that happens I quickly give them a bend and they look good again. Sigma: What is your life like outside your YouTube channel and blog? Almeida: It varies :) I am a few months away from graduating to become a Social Studies and English Secondary/High School teacher, so my life will change drastically after graduation. Other than that, I love to hang out with my friends and family. I listen to music a lot, I do photography and I work out. I also work in the home-care service, but only as a fill-in, and as a substitute teacher at a local school near my home. 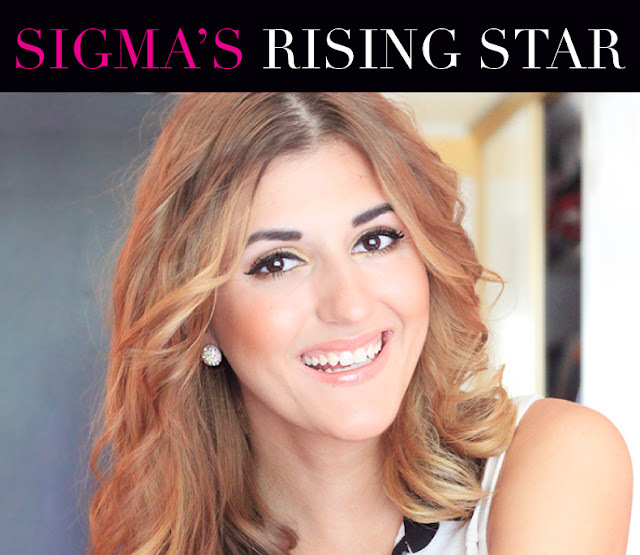 Sigma: How did you begin making beauty videos/beauty blog? Almeida: It is a cliché really--I watched other gurus and I read other people’s blogs. I was inspired, but still I wanted to do something of my own, so I did :) The response I am getting beautifies my days and it gives me great pleasure to be a part of this beauty community. Check out Almeida’s YouTube channel here and her beauty blog here! Love to hear about their feedback, thanks! What a beautiful girl!!! She deserves it!!! She is beautiful! Love her blog!